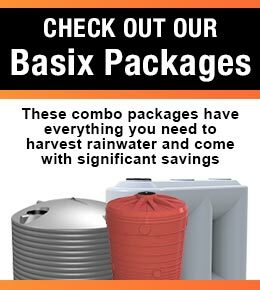 Rainwater harvesting is becoming a trend again, especially among those living in areas that have, at least once, experienced water restrictions for reasons that include drought. To make the most out of this endeavor, it’s important that the basic components are set up—catchment area, gutters, downpipe, filters, meshes, screens, first flush diverter, water tank, and filtration system. Central to the entire system is the rainwater tank. After all, its purpose is storing the water that will be used for household chores, human intake, agriculture, firefighting, gardening and other activities or endeavors that need water. Despite this fact, selecting the right tank for your system still isn’t that simple. 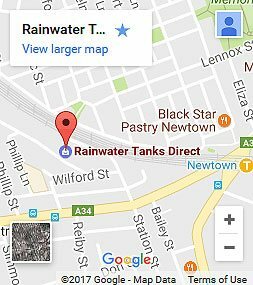 Central to the process of choosing the right rainwater tank is determining your preferred tank material. Remember that tanks can be made of different materials; a water tank can be made out of steel, poly, and concrete. And there’s only one thing to think about when determining the material for a water tank it should be made of—corrosion free material. Corrosion is the biggest enemy of a water tank, as it decreases the durability of the tank’s interior and exterior. This eventually leads to the tank becoming unsuitable for use as clean water storage. Therefore, a water tank that gets corroded easily isn’t suitable for rainwater harvesting. A tank that gets corroded easily leaks easily. A leak causes all the stored water to leak out. It’s also worth mentioning that leaks permit the entry of contaminants as well. Corrosion usually happens to metal tanks, and this is why many prefer plastic water tanks, which corrosion cannot affect at all. 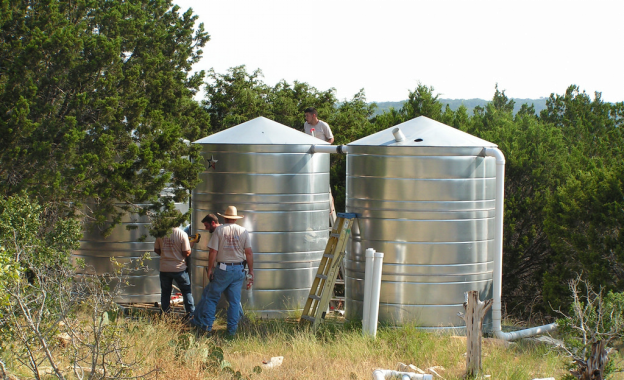 But this is not to say that no metal tank is suitable for use in a rain collection system—stainless steel water tanks are just as good as plastic tanks when it comes to corrosion resistance. Stainless steel has properties that make it able to resist corrosion, aside from being tough. With proper maintenance, a water tank made from this material can last long in your property. Of course, it’s also important that it be set up properly so the wind does not topple it down. There are types of stainless steel which is type 304 and 316. Type 304 is composed of chromium-nickel and a low carbon. This type proves to be oxidation resistant, corrosion, and durability. Its content is 18% chromium and 8% nickel. This type of stainless steel is a good material to resist corrosion which is a good material for a water tank. Type 316 is austenitic chromium-nickel stainless steel and it can resist heat with a higher resistance to corrosion aside from that it is also resistant to chemical attack compared to type 304 which makes it costly to buy. The type 316 of stainless steel provides better quality than 304 but both types can be a good material for a water tank depending on how and where it will be used. Regardless of the type, stainless steel water tank can be a good option as a container for storing water that can help in the water shortage problem.